Are you looking for the ultimate thrill ride during your next trip to Florida? 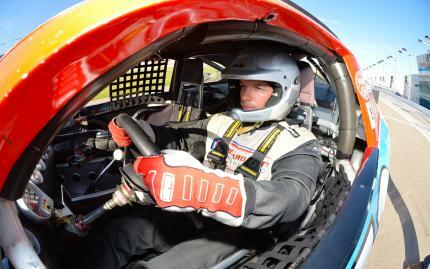 Complete your next vacation by driving or riding in a NASCAR race car. GET DOUBLE the DRIVE TIME! The Kings Experience is double the experience. This driving experience has double the drive time making it an incredible driving experience. You drive a real NASCAR race car for (2) 8-minute timed sessions, 16 minutes total in back to back racing sessions on one of the nation's premier speedways. After 1st 8-minute racing session, pull into the pits for a brief pit stop and then head out on track for a 2nd 8 minute session working on driving faster! The second session makes the Kings Experience an experience well worth it and an experience to remember forever. Satisfy the thrill seeker inside you! Note: You will be provided with a regulation helmet and safety device, as well as a driver's suit. The race cars do not have doors, so participants must have the ability to climb through a 15" high by 30" wide window that sits 36" from the ground. The driving suits are available up to size 4X. You must have a valid driver's license and be at least 18 years old. Operation of a manual transmission is NOT a requirement. A push-off start is available for participants who do not have a knowledge of how to operate a manual transmission. 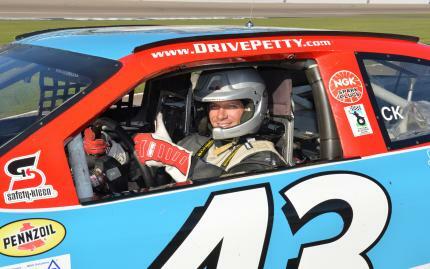 For each driving experience participant, a $39 fee is included. This fee is in lieu of a "crash clause" requiring each participant to commit a certain amount that will be forfeited in the event of an incident/crash. RPDE provides that each driver who pays the $39 Driver Release Fee will not be responsible for most damage to the car resulting from an incident/crash at the track. Only in the event that a driver intentionally or negligently fails to follow instructions which leads to an incident/crash will RPDE seek financial recompense for resulting damage to the vehicle. There is a $75 fee charged for any cancellations or changes made more than 30 days prior to the experience date. Cancellation or changes made less than 30 days prior to experience date are subject to forfeit the entire amount. Rain Policy: If we are unable to dry the track, each participant will be given the option to reschedule to a mutually agreeable date or be issued a rain certificate. Refunds are not available.